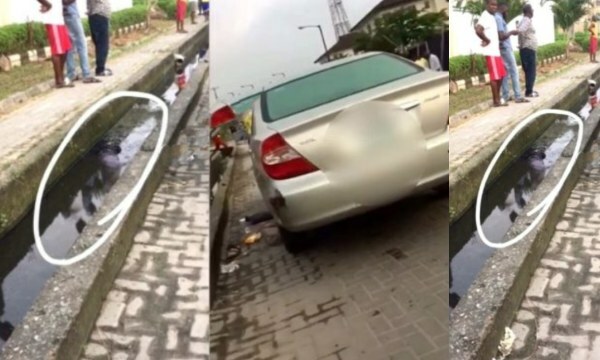 Nigerians were greater with shock after an unidentified man was allegedly murdered and dumped in gutter last night, at Adedeji Street in the Lekki area of Lagos. The killers believed to be assassins left his car parked close to the scene of the incident. The incident has reportedly led to fear in the area. The body is yet to be evacuated.